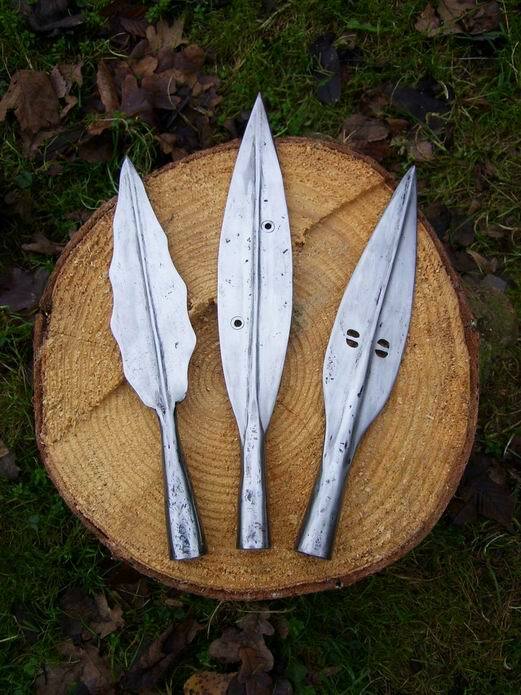 I have for sale three newly forged spears. Wavy spear is inspired by the discoveries of Alesia in central France, dating from the period of creation of Vercingetorix. This openwork spear is assigned luboszyckiej culture, identified with the tribe of Burgundians. Last spear, openwork, is, I think, somewhere in the north of Europe, and it dates back to the first centuries of our era. Wavy spear, total length 30 cm, maximum width of 5.5 cm, bore 23 mm, weight 325 grams,price 63 $. Central spear, total length 34.5 cm, maximum width of 5.3 cm, aperture 20 mm, weight 370 grams,price 111 $. Last spear, length 29.5 cm, max width 5.2 cm.otwór 23 mm, weight 421 grams,price 70 $. Very nice! I especially like the wavy spear! 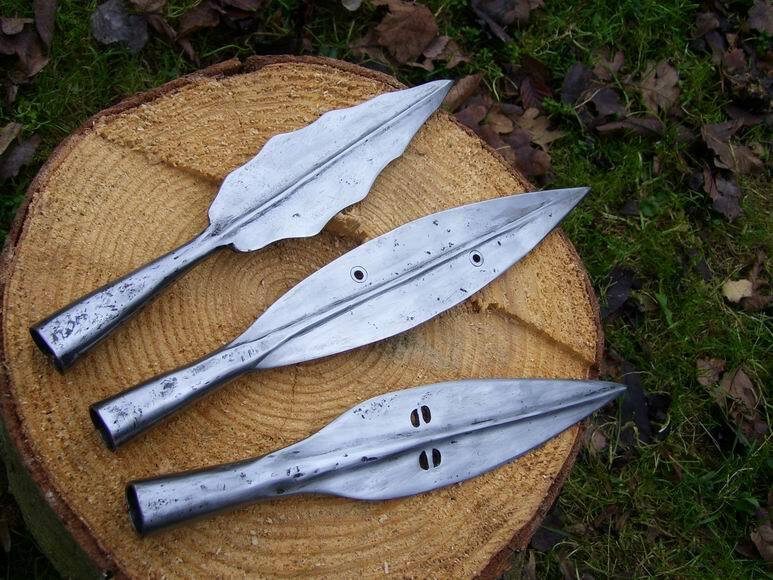 It is very rare to see correctly made spears these days, these are great! Few people make spears without a welded-on socket. The original of that Irish spear had tiny bronze insets in those openings, just edging the rim of the tiny holes, still leaving it open.